This entry was posted in Uncategorized and tagged alpha waves, Big Brother, BRAINWASHING, control, elite, HD-TV, lies, Mass Hypnosis, Mass Violence Tavistock, media lies, mind control, population, programming, social control, Tavistock, television, TV, video games. Bookmark the permalink. So true! Even in my attempts to have more meaningful relationships with friends and family, it’s difficult to find common ground when they are plugged in. My family is at least not as hooked as some, which I am grateful for. I unplugged back in 1988 and stayed that way until right after 911. At that time I felt a need to see what in the world had happened to lead us to that day. I still have a tv, but, with the exception of a few series that I found intriguing (Lost, Madmen, House of Cards), I am not interested in anything that television offers and I agree with you that it is seriously manipulative and soul destroying. 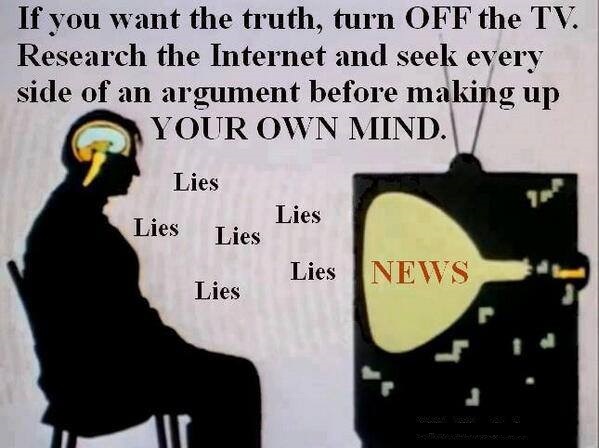 It comes as no surprise to me that corporate and political interests are using television to “drug” us. Have you ever read Neil Postman’s Amusing Ourselves to Death? It’s an older book, and he doesn’t go into the political angle very much, but very much breaks down the affects that tv has on us, pretty much as your post here does. It might be interesting to research why some of us see through the manipulation and come to despise the media while others don’t. Anyway, great post! You have really done a lot reading and research. I have been on the other side of the fence and haven’t a clue what made me become aware of certain things the majority cannot or will not comprehend. I guess that’s where the term sheeple finds it’s definition. I know it’s very frustrating, and that those who blindly accept things as they are as much to blame for the status quo as those pulling the strings. It’s just one big crazy world. Whatever one’s opinion of the United Nations may be, one of the hundreds of music channels could be replaced by a channel/programs on UN activities, speeches, etc. This would offer at least one informative channel to all those still addicted to TV. There’s more information on a test pattern than on mainstream media. I recently stumbled on Fredrick Max Muller’s research on ancient Indian Vedas. There is a section on language where he mentions that “We can not think without a language”. The thought was difficult to digest but as I correlated it to the fact that invaders always impose their own language on to the invaded ever since in history, I felt the pinch of truth. Language and media is nothing but a tool for mass hypnosis into directing the masses for the objective laid out by elite ever since.